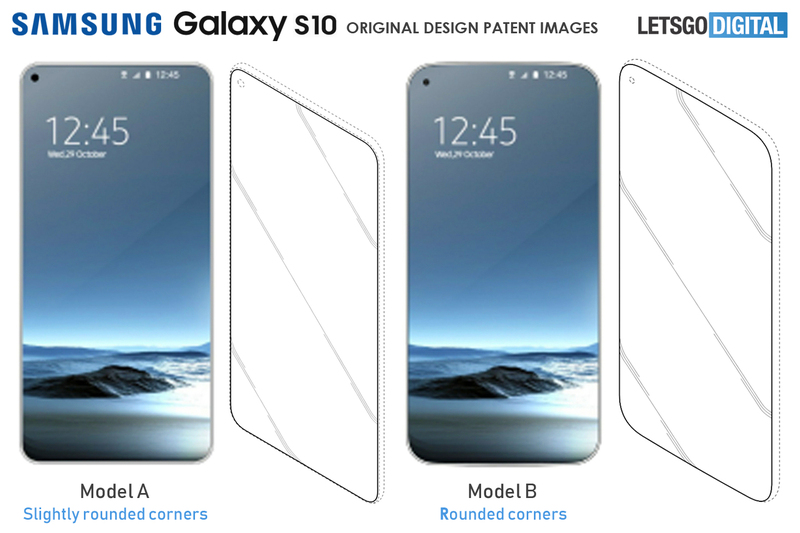 Samsung patented several full screen smartphone designs and published an image of one of the models. Is this the Samsung Galaxy S10? Earlier this year Samsung revealed the Galaxy S10 will get a significant design update. This makes many of us wonder; how will the Galaxy S10 actually look like? Will this flagship device indeed feature an in-display camera, an in-display fingerprint scanner and all kinds of sensors hidden behind the display? LetsGoDigital got their hands on the first images from Samsung Electronics, showing a full screen smartphone with a camera hole in the display. 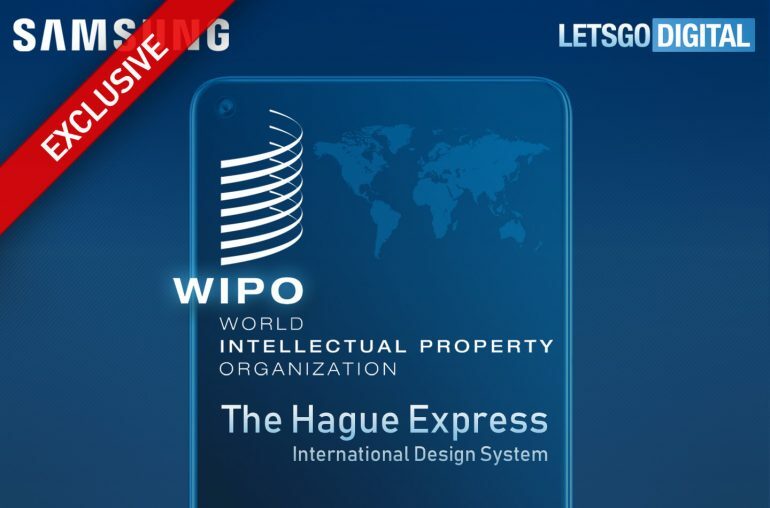 The images were used by Samsung Electronics in a design patent, which was applied for at the Hague International Design System. Here companies can file an industrial design patent, after approval the patent will automatically be accepted by 70 different countries. The patent consists solely of visual material, no written description has been added. There are more than 50 different smartphone models outlined. They all show a full screen design with a selfie camera on the upper left side, just like the recently introduced Infinity-O display. It is of course striking that Samsung also attached a color image to the patent. This could very well be the design of the Samsung Galaxy S10 and it’s Infinity-O display. We will have to be patient though, as the Galaxy S10 is not expected until February 2019. The device will most likely be showcased at the Mobile World Congress 2019 at the end of February. This will be an important event for Samsung, as the Samsung foldable smartphone will probably be introduced at the same fair in Barcelona, Spain.